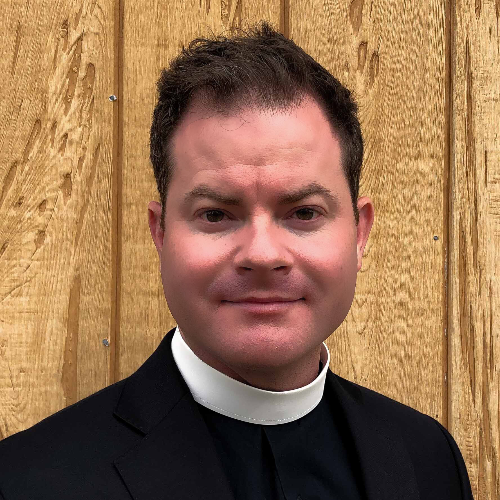 Summary: Sermon explores the message of servanthood in JEsus's​ choice to ride a donkey into JErusale​m. For over a decade I’ve preached from the Passion narrative on Palm Sunday. This year I’m going to follow my personality and deviate from the norm. 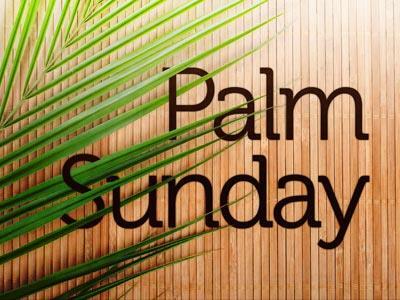 Today I’m preaching from the Palm Sunday Gospel reading. Why? 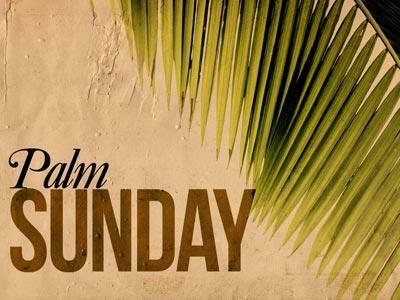 Palm Sunday tells a story that prepares us to read the passion narrative. It prepares us to learn the lessons Jesus taught the disciples using a donkey. He used an donkey to show them the heart of the divine. My Palm Sunday sermon is that message: " Choose a Donkey Over a Horse." The donkey teaches disciples, then and now, how much bravery it takes to follow the suffering servant. It takes courage to choose destiny over fear. First: They learned to serve with humility. Sometimes I think it was hard to be a disciple. They had an inside relationship with Jesus. The Gospels say he even gave them the power to preach and heal the sick in his name. They watched the power of God, and witnessed the miraculous regularly. It's hard to go from the main actor on stage to a stagehand behind the curtain. It must have confused them when Jesus said, "Go ahead of me, there you'll find a donkey tied, bring it back to me." Humility is demanding. Instead of working miracles and healing the sick, we find the disciples on “donkey duty.” Heal the sick, of course. Work miracles, absolutely. Humble themselves for “donkey detail” was a tough pill to swallow. You can sense it in the Gospel; the disciples seem confused about how to retrieve a donkey. Jesus has to tell them how, "Go, find it. Bring it back to me." Lessons in humility are tough. Jesus makes sure our souls are not always center stage. He knows it's not good for the soul to continually be popular. When we become celebrities, it generates worshipers instead of followers of Jesus. The second lesson the disciples learned was to deny power and celebrity. Humility denies the enticement of power and popularity. In the 1st century, the temptation to choose power was ever-present. The Jews expected a King. A man who would liberate the Holy Land from Roman control. They hoped it would be Jesus. As Passover approached, Jerusalem would swell to ten times its normal population. The inns were full. The Temple Mount was at capacity it was the most important festival of the Jewish year. Each year thousands of prayers ascended to heaven as Jews prayed for their liberator king. Here is where the Gospel reading of the donkey becomes fascinating: A few days before Jesus entered the city, Pilate entered on a horse. It was a message to the Jews that Rome's power over them surpassed their hopes for a Messiah. Pilate chose a horse, Jesus chose a donkey. Jesus wasn’t in orate chariots pulled by well-bred horses. There was no sword at his side nor armor on his chest. He did not enter the city gates as a show of force. He entered as a servant on a beast of burden. It was an enacted metaphor of who Jesus was and what he expected of his disciples. He refused power, and he didn’t accept a throne. He knew he was there to suffer for the sake of others. He laid his power down to pick up his cross. 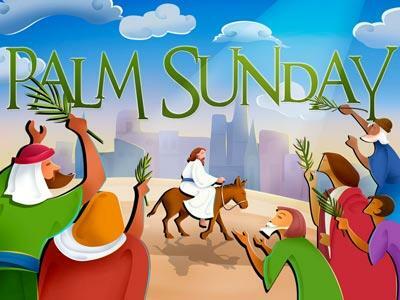 What did the disciples learn on Palm Sunday? They realized that humility is the way of the Kingdom, and popularity is the way of the world. Then they learned that a servant lives and dies for others. Servants are not popular. The crowds that followed Jesus into Jerusalem quickly diminished when he disappointed them. I’ve learned the crowd usually leaves when they are disheartened. Few stick around and heroically choose love. The crowds will usually return to Egypt before they walk through the desert of disappointment. Disappointment tests life, faith, hope, and even love. When we expect a horse and get a donkey, we’re tempted to walk away. Did Jesus deserve a horse? Of cours?e he did. But a serva?nt chooses a donkey – the way of a cross – instead of the horse of a conqueror. The metaphor of the donkey answers the question, “who is this Jesus?” He is the one who dies so others can live. The horse, Pilate's horse, always tempts our hearts to say, "I did better than the rest of my friends. I'm smarter, and I have more natural gifts, God favored me." Sermon explores the message of servanthood in JEsus&#39;s​ choice to ride a donkey into JErusale​m.